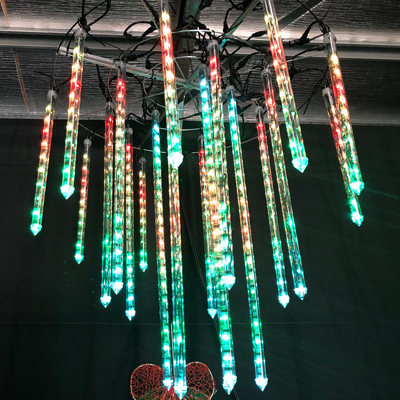 The RGB Pixel Meteor Tube - RGB Pixel display element perfect for any holiday display installation. 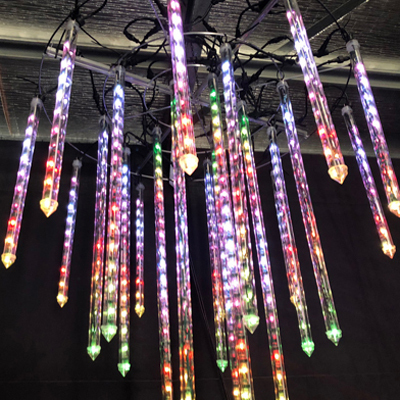 Our RGB Meteor Tubes are perfect for adding RGB pixels and nodes for full colour lighting leaps and stunning lighting effects. With pixels, now you have complete control over every single pixel or the entire lighting element as is. Never before has a lighting effect been so visually entertaining on the eyes. 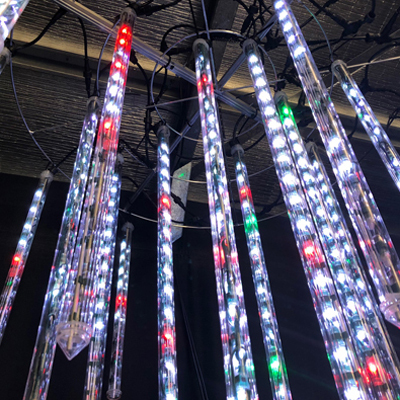 Made from aluminium and Transparent PC plastic cover, our lightweight RGB Meteor Tubes are perfect for business or residential display. We are happy to be the first and only retailer of these items as they are made here in Australia. Hang them in trees or use them with our custom chandelier frame.